This Funny Riddle is to Test your Brain. Sometimes a Riddle looks funny from the statement but it has very logical and valid answer. This Funny Riddle is one such Riddle which is asked in an interview to test candidates' out of box thinking. Can you think out of box and solve this funny brain teaser? 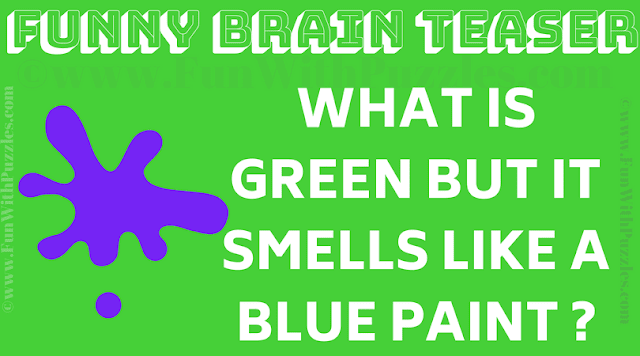 Answer of this "Brain Testing Funny Riddle", can be viewed by clicking on answer button. Please do give your best try before looking at the answer. 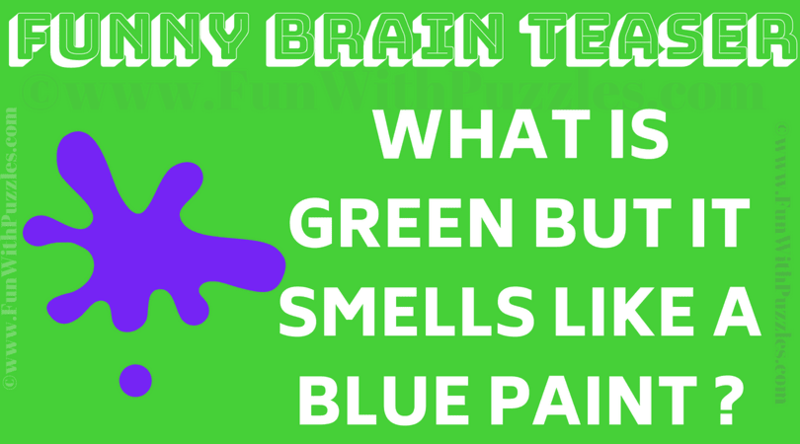 The Answer is A Green Paint.